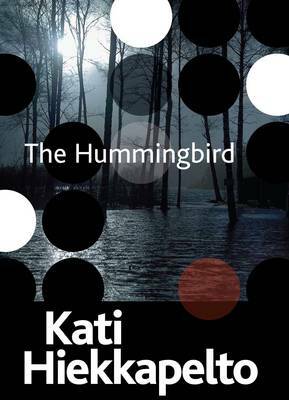 THE HUMMINGBIRD, voted the best Finnish crime novel of 2014, was shortlisted for the prestigious Petrona Award for translated Scandinavian crime fiction. It’s only the second Finnish crime fiction book that I’ve read yet I can tell it instantly brings an unusual Finnish feel to the Nordic Noir genre. Superbly translated by David Hackston, it has the classic Scandinavian elements: weather, location, atmosphere and some unspoken tension, but it also focuses on the painstaking realistic police procedures in a slightly mysterious world with a different language, mentality and sensibility. Additionally, THE HUMMINGBIRD doesn’t shy from a very difficult contemporary theme: immigration which has as many faces as there are people discussing it. Kati Hiekkapelto introduces Anna Fekete, a complex character; a new recruit to the police force in a coastal town in northern Finland, a place where she had spent her earlier years and now returns to in a professional role. On her first day Anna is partnered with middle-aged Esko, who doesn’t hide his xenophobic prejudices and misogynist opinions, and undermines her work. Together they have to work on a case of a young woman who has been brutally murdered on a running track. A pendant depicting an Aztec god has been found in her possession. Talisman or jewellery? Anna, a foreigner, constantly feels the pressure to justify her own existence, mostly to herself, and her sense of belonging. She was an outsider even in her homeland: being part of the Hungarian minority in Yugoslavia, and at the age of seven she fled the Balkan wars with her mother and brother. On the surface she is an assured Finnish citizen, having served in the Finnish army, and a senior criminal investigator, who has trained to use her analytical skills to find a perpetrator. Various perspectives on immigration are well portrayed, and I could identify with many of the emotions experienced by those who had arrived in Finland to start a new safer life. The author weaves in stories of the ‘Balkan mafia’, a Kurdish girl and her family, and Anna’s brother. They add to the realistic portrayal of the changing Finnish society. The strong writing style of this confident debut novel promises that the second book THE DEFENCELESS, due to be published by Orenda Books in September 2015, will carry the same sense of place, situations and characters, and will deliver another intense and powerful story for Anna Fekete. Kati Hiekkapelto is a force to reckon with; a talented and uncompromising author who will keep thrilling the readers. I will certainly look for this one.